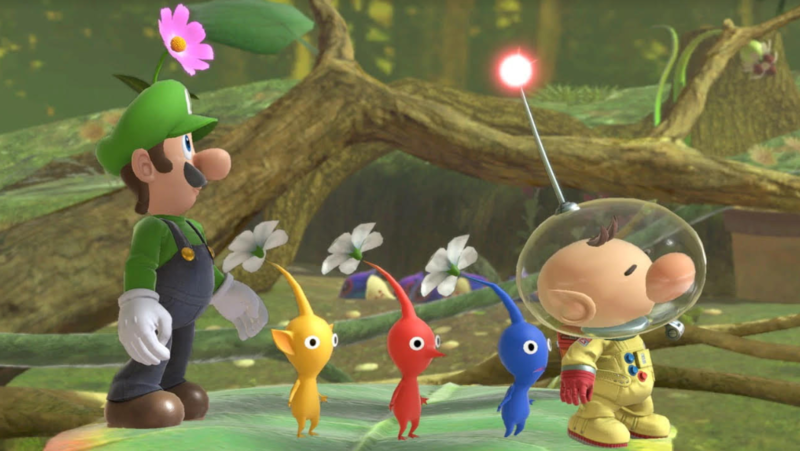 Suggested by Sonic Olimar has a lot of Pikmin at his disposal, but he definitely isn’t the greatest of fighters. After all, we saw how quickly he folded back in the Subspace days. He’s not ready to take on someone like Luigi yet. Luigi has thunder and fire abilities on his side as well as some actual martial arts. When you put that all together then you just have to wonder what Olimar can do in response. It’s all over for him now. Luigi wins. This entry was posted in Battles, Luigi Battles, Olimar Battles and tagged Luigi, Olimar by dreager1. Bookmark the permalink. While it likely wouldn’t change the result, I’d like to say Olimar is actually no larger than a person’s thumb. So Super Smash Bros. is not accurate in size representation.